Brain by Robin Cook is a Bangla Onubad book. Actually, Brain is a medical thriller book. By reading this book, you will experience that how a future generation of computers will work wired to human brains. The story was started with a young beautiful girl Katherine Collings who was going to private GYN clinic, where she is maintaining treatment for some Gynac disease. There was something wrong in that hospital for this reasons she wants to withdraw her records. There is a doctor who involved in this story whose name is Martin Philips, a Protagonist in neuroradiology, He works at the center of the NYC medical and he starts to discover a conspiracy involving usage of a human test subject and he is drawn into the world that is very dangerous. You can say he is the main character of this story. In the medical research center, doctors found something terribly wrong. They wonder because a beautiful young woman died on the operation table and her brain was removed. 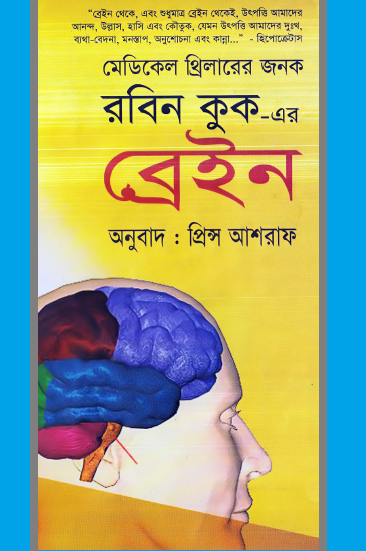 If you want to get downloaded the Bangla translated ebook named Brain written by Robin Cook, you are required to click here!